Greyhounds 4U (G4U) initially started in 1999 by Debbie Buxcey after she took her first Greyhound home at the end of 1998. At that time, the kennels was run by a man who loved his dogs but due to the very long days (and nights) that running a kennel requires, could not find the time to home his retired dogs. He also believed that no dog should be put to sleep unless at the recommendation of a vet for health problems. Debbie identified that many dogs were just waiting for the right person to come along to provide love, care and that all important sofa! By this time, Debbie had acquired a second greyhound and people began to approach her to ask questions about greyhounds. Above anything else, people could not believe that Debbie was quite happily living in a cottage with 13 cats and 1 rabbit. So Debbie, working with the owner of the kennel matched greyhounds to people and their own unique set of circumstances. Gradually friends and acquaintances adopted their own greyhound. But there are only so many friends able to adopt. 2002 - Greyhounds 4U (G4U) began a very successful association with Greyhounds in Need. 2005 - saw the launch of the new and improved web site. 2007 - Robert Alleyne, canine behaviourist, trainer and known to many from BBC3's Dog Borstal programme agreed to support Greyhounds 4U after working with Debbie and Casper. 2008 – Greyhounds 4U became an approved partner in the Pets at Home Support Adoption Scheme. It is a fantastic achievement to receive the backing and support of such a well known organisation. 2010 - Portsmouth greyhound track closed down and resulted in Greyhounds 4U's busiest ever homing period, working with both the BBC and ITV to ensure as many dogs as possible found their forever homes. 2014 - Greyhounds 4U celebrated 15 years of homing ex-racing greyhounds. 2015 - Greyhounds 4U were approached to supply two greyhounds to take part in a performance of Rigoletto at the New Victoria Theatre, Woking. As a consequence, Will had a walk on part along with Sue and Paddy greyhounds! 2018 - Greyhounds 4U were once again approached by Ellen Kent Productions to supply two greyhounds to take part in a performance of Rigoletto at the New Victoria Theatre, Woking. As a consequence, Lewis had a walk on part along with Holly and Dexter greyhounds! 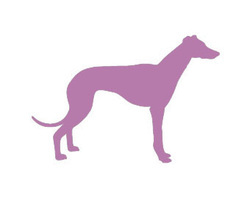 Greyhounds 4U are a British independent greyhound rescue and homing organisation. We home UK and Irish ex-racing greyhounds as pets to people who live in the Southern Counties of England. The Counties we cover include Cornwall, Devon, Dorset, Somerset, Worcestershire, Avon, Wiltshire, Hampshire, Berkshire, Middlesex, Oxfordshire, Buckinghamshire, Surrey, West Sussex, East Sussex, Kent and the Isle of Wight. Due to the restrictions of our home checker network and in some cases the travel distances involved we are unable to home greyhounds to people living in London, Essex, Gloucestershire, Bedfordshire, Wales, The North of England, Scotland, The Isle of Man, The Channel Islands, mainland Europe or the rest of the world. Our priority is the long term care and well-being of our retired racers and as such every greyhound adoption is subject to a successful home check. The only exception to the home check rule is if you have already adopted one greyhound through us and are returning for a second, third or fourth greyhound pet. It has been known! However, if you have moved house since the 1st greyhound adoption we reserve the right to home check your new premises.